With impressive views of the Rocky Mountains, Denver is known as “the mile high city” because it’s exactly 5,280 feet above sea level, or one mile high. It’s also one of the fastest growing major cities in the United States with a population of approximately 682,500. The City and County of Denver, develops and implements its budgets through their Budget and Management Office (BMO), which strives to manage a balanced budget and to create an environment of operational efficiency and effectiveness. The City and County of Denver needed a budgeting solution that was flexible, comprehensive and provided analytics. Denver issued an RFP for a budget reporting and analysis solution and Questica was awarded the contract. Denver purchased Questica Budget Operating, Salaries, and Capital. Development of the base budgets begins in April with the previous year’s budget and any pre-approved minor changes. Submissions for change requests for additional funding are then reviewed and approved changes applied to the budget. Budget hearings then take place in September, with final adoption in November. The budget process involves multiple stages as it goes through Department Managers, the BMO, Mayor’s Office and Council. Denver’s budgeting system was old and no longer met the requirements of flexible and comprehensive budgeting. Forecasting wasn’t available, scenarios were hard to create and time-consuming and the system was not robust. It also lacked analytics, which was key to balance responsible budgeting with the needs of a rapidly growing city. The City and County of Denver issued an RFP for a budget reporting and analysis software solution, and in 2015 Questica Budget was selected and implemented. While Questica Budget doesn’t change what information is collected, it does change the way it’s accomplished. The new system was aligned with Denver’s existing budget process so the budget development process remained largely the same. However, the process of submitting, reviewing, and approving the budget has been streamlined and the visibility of the data has been improved. Questica Budget is a powerful application that fills the gap in the budgeting functionality financial systems offer. Denver now has the tools necessary to handle budget planning, tracking, and forecasting. Managers can enter their own budget data and track budgets on their own, which frees up the BMO to spend more time on analysis and forecasting. Eliminating the reliance on paper and spreadsheets, the City can easily maneuver through their budgets and maintain version control. Associated documentation can be attached to provide insight into the decisions made. Budget reliability and accuracy can be more easily ensured and costly data entry errors prevented. Through integration with the City’s financial system, Questica Budget provides users with real-time budget actuals. Denver recently went through the process of changing financial systems from PeopleSoft to Workday. The new system works on a different account structure than the previous one, but with only minor modifications, Questica Budget’s own account structure will remain the same, allowing the BMO to continue budgeting in the manner they require. Questica Budget was designed to be easily customized and modified to suit the specific needs of organizations like Denver. Users can drill down and roll up within their budgets as desired, and define their own custom business rules. As Denver continues to grow, we’ll adapt to changes in structure and process. 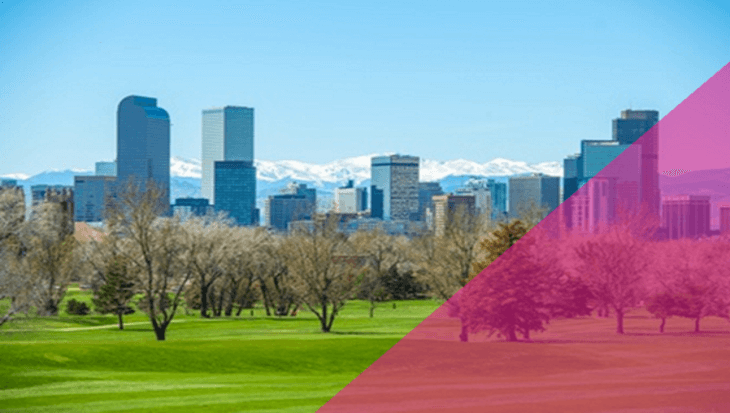 Questica Budget is flexible enough to handle Denver’s incremental budgeting method, as well as any number of methodologies they may move to in the future. Scenario based budgeting and forecasting With Questica Budget Salaries, the BMO is able to handle the complexities of position and personnel budget development. The ability to run “what-if” scenarios on costs such as salaries, furloughs, and other benefits has been very timely. Long-term forecasting is available for variables, regular increase, revenues and expenses, and other elements. 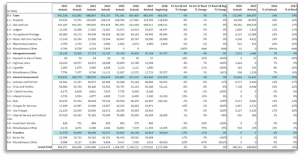 The Schedule 100A General Fund Revenue Summary shows prior year actuals, future year budgets, and variances. Also calculates year-to-date actuals to the end of the prior month and can be used in Questica Budget dashboards. Denver users have found the design of Questica Budget to be intuitive, easy to use and to maneuver about in. Base budget entry is easy and budgets can be rolled over to the next year, saving the time required to recreate it. Denver has leveraged the Questica Academy, an online portal for all users to access training tools. The portal allows for onboarding new employees, or for quick reviews for the once-a-year budget preparation user. Working with Questica’s Learning Development Team, Denver created additional training videos specific to their City, using their unique terminology and workflow. Questica Academy also provides ongoing tips and tricks for users, and as Questica continues to invest in improvements and innovation, Denver can continue to get the most out of their investment. Thanks to more efficient budgeting, Denver is brilliant.